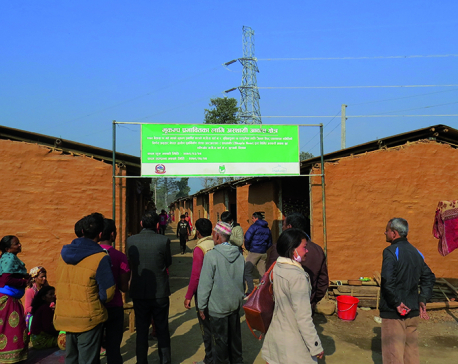 SINDHUPALCHOWK, March 17: Three years after the devastating Gorkha earthquake in 2015, reconstruction activities are finally reaching the underprivileged communities of the country. 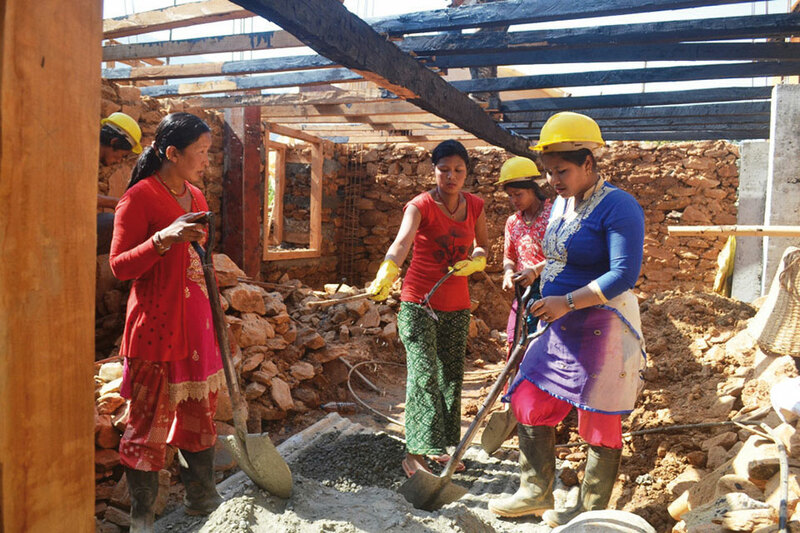 Of late, people of disadvantaged communities, such as Majhi, could be seen rebuilding their homes in districts including badly ravaged Sindhupalchowk. In Sangachowk of Bhimtar in Sindhupalchowk Sani Majhi, a local, was seen helping her husband Purna in building their home. Another local, Sitaram Majhi, also recently completed constructing his home. He is currently fitting windows in the house. Just a few yards away, a group of 10-12 workers were seen plastering with cement the walls of an under-construction house belonging to Man Bahadur. The situation is similar in the neighboring Ekleyfanta village. Everywhere new houses are rising and these indicate that even the most underprivileged communities have starting rebuilding their homes. "People in the neighborhood have been helping each other to rebuild the house. This has made the construction easier," said Sitaram, 27. In Bhimtar, 137 households out of the total 143 belong to the underprivileged Majhi community. Likewise, Ekleyfanta has 28 Majhi households. A total of 58 houses in Bhimtar and eight in Ekleyfanta are being constructed turn-by-turn. Other house are also being constructed simultaneously. Most of the people from Majhi community are traditionally fishermen eking out their living from the Indrawati River. Apart from their small houses, most of them do not have farms and lands. They are severely lagging behind in economic, social and educational development. Lately, most of them make their living by crushing stones into aggregates on the banks of the Indrrawati River. "So far, we haven't spent any money in wage of labors. The only spending has been on purchasing construction materials," said Sitaram. Interestingly, female population in the village has been playing significant roles in reconstruction. Over half the population helping to construct houses on turn-by-turn basis is female.